This basic shower gel is easy to make, and perfect for beginners. We use Crafter's Choice™ Crystal Clear Shower Gel and Crafter's Choice™ Lavender Fields Fragrance Oil. 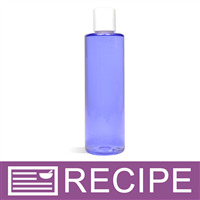 Note that this recipe only makes one bottle of shower gel which allows beginners the opportunity to practice before making a large batch. 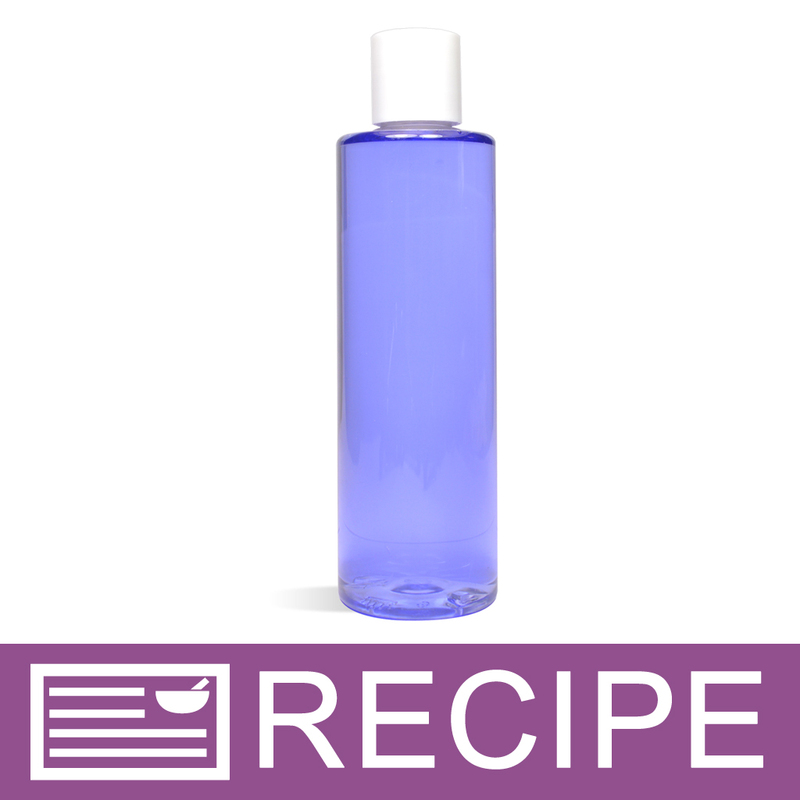 This recipe was used in the Simple Secrets video "Making Clear Shower Gel." Pour 8 ounces of Crystal Clear Shower Gel in a measuring cup with pouring spout. In a small beaker, add 4.5 mL of Lavender Fields FO and 18 mL of FO & EO Modifier. Mix well. (We recommend using a mini cordless mixer, but a spoon or even the dropper will work). Pour the fragrance mixture into the shower gel. Incorporate the fragrance into the shower gel with a spatula. Cover the top of the liquid color bottle with your finger, and shake well. Add one drop of Stained Glass Violet Purple Liquid Color to the shower gel. Mix to evenly distributed the color. Pour the shower gel into a bottle. If you plan to sell or give this shower gel to others, we recommend labeling the product. "If using Essential Oil instead of Fragrance oil, do you still need to use the FO/EO Modifier?" Staff Answer Yes, you do need a modifier whether using an FO or an EO. "Is there anyway to make this shower gel thicker?" Staff Answer You can add Bubble Wash Thickener to the shower gel or also the Bubble Wash Pearlizer which will add a pearlescent effect to the gel. "Can i use essential oil instead of fragranc eoil? If yes, will it be same proportion in this recipe ?" Staff Answer You can substitute any fragrance or essential oils in our recipes. If using an essential in place of a fragrance oil, it should be used at 1/3 of the fragrance oil. For example, if a fragrance oil is used at 3%, an essential oil would be used at 1%. "Can I use bubble wash thickener in place of the Fo Eo"
Staff Answer No, the two products do not give the same results to the final product. The FO EO Modifier will keep your final product clear and it will solubilize fragrance oil into water based products whereas Bubble Wash Thickener is used to thicken liquid soap bases. "Another question I made a small batch carefully incorporating the FO and the modifier into the gel it is full of tiny air bubbles is there any way to stop this. I did not use a tiny mixer but a spatula "
Staff Answer The modifier should be added at 4-times the quantity of the fragrance. Adding a little more modifier will remove any remaining tiny bubbles. "Might be a silly question. You can use other fragrance and colors to make differented scented and colored shower gels right. I have a customer that wants a grapefruit shower gel. Thanks"
"I made this, exactly like the recipe says. It's foamy or frothy on top. Is there a way to fix this, both now and in the future? It seems to happen when I use the EO/FO modifier, but I have no idea what is causing it." Staff Answer Hi Kerry - We're sorry to hear it didn't turn out for you! It could be the amount of stirring when incorporating the fragrance to the shower gel. When we added the fragrance, we poured it around the base then lightly folded it in with a spatula. Shower gel tends to bubble up when stirred too much. The foam might dissipate over time as it settles. Hope this helps! "If I have colored bottles do I still need to use the FO and EO oil modifier?" Staff Answer The fragrance oil may separate from the shower gel if you do not use the Modifier. If this happens you will need to add a note to "Shake Before Use" to your label for the safety of your customers. "What is the shelf life for this gel?" Staff Answer We guarantee a year shelf life.